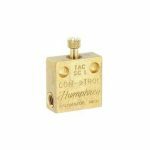 The Humphrey TAC System of Valves, Valve Operators, Auxiliary Components, Miniature Fittings and Accessories combine to be the most effective line up of pneumatic logic controls. Consider for your simple control logic applications when PC/PLCs are impractical, or when environments are hazardous or humid. This simple, building block approach to pneumatic logic solves automation problems. TAC Push Button Valves are miniature pneumatic 2, 3 and 4-way valves available in 10-32 UNF, 1/8 and 1/4 PIPE sizes. 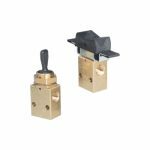 All TAC Push Button valves feature an attractive, work hardened SST button “plunger” above a 15/32-32 threaded collar. Button bottoms out on collar to prevent overstroke and valve damage, permitting heavier “strikes” than it’s competition. Feature permits panel mounting or acceptance of a variety of TAC Miniature Operators (ordered separately), including a variety of clever specialty air pilot operators. TAC Miniature Toggle Valves are miniature pneumatic 2, 3 and 4-way valves available in 10-32 UNF and 1/8 PIPE sizes. 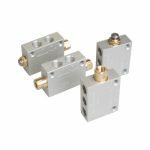 Compact and rugged, TAC Toggle valves provide excellent flow, and are designed for attractive panel-mount signaling or cylinder control, leaving pneumatic plumbing, tubing and venting contained underside. Available in Detented and Spring Return models. 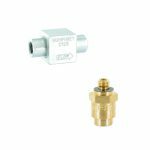 TAC Push-Pull Detented Manual Valves are miniature pneumatic 2, 3 and 4-way valves available in 10-32 UNF and 1/8 PIPE sizes. 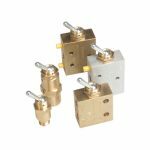 Compact and rugged, these TAC valves provide excellent flow, and are designed for attractive panel-mount signaling or cylinder control, leaving pneumatic plumbing, tubing and venting contained underside. Bar-Bell shaped button permits detented “push to open, pull to close” function. 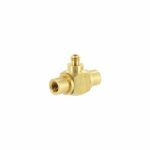 TAC Miniature 3 Position 4-Way Manual Valves are miniature lever and rocker valves available in 1/8 PIPE. 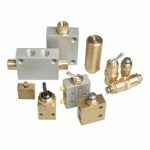 Compact and rugged, TAC valves provide excellent flow, and are designed for attractive panel-mount signaling or cylinder control, leaving pneumatic plumbing, tubing and venting contained underside. This exhaust center position family of valves are available in types: Detent, Spring Return and a Detent one side, Spring Return other side. TAC Miniature Pressure Regulators effectively regulate downstream pressure to a setting anywhere from 0~125psi. A component of the TAC System of pneumatic logic, these elements combine to achieve functions essential to an efficient and cost-effective pneumatic logic system. TAC Miniature Speed Controllers allow for manual adjustment of flow in one direction, and full flow in opposite direction. Use to directly control cylinder speeds or in time delay pneumatic logic circuits. A component of the TAC System of pneumatic logic, these elements combine to achieve functions essential to an efficient and cost-effective pneumatic logic system. 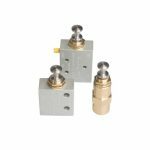 TAC Miniature Shuttle Valves allow alternative flow to single common outlet port from either of two opposing supply ports. Available in 10-32 UNF and 1/8 PIPE. A component of the TAC System of pneumatic logic, these elements combine to achieve functions essential to an efficient and cost-effective pneumatic logic system. TAC Miniature Check Valves allow free flow in one direction only, and check flow in opposite direction. Available in 10-32 UNF and 1/8 PIPE. A component of the TAC System of pneumatic logic, these elements combine to achieve functions essential to an efficient and cost-effective pneumatic logic system. 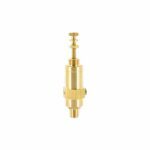 TAC Miniature Quick Exhaust Valves redirects exhausting air to its exhaust port by sensing pressure differential, permitting enhanced cylinder and actuator control and speeds. A component of the TAC System of pneumatic logic, these elements combine to achieve functions essential to an efficient and cost effective pneumatic logic system.